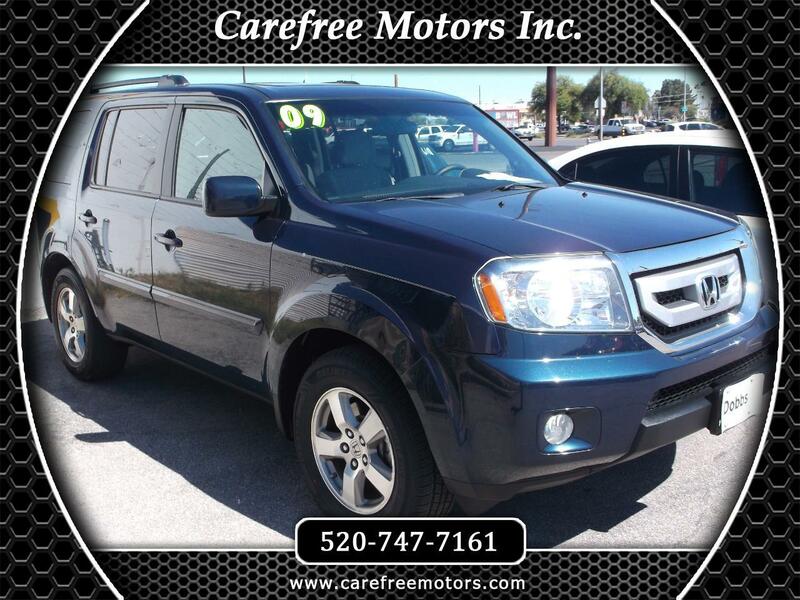 Used 2009 Honda Pilot EX 2WD for Sale in Tucson AZ 85710 Carefree Motors Inc.
1-OWNER! BEAUTIFUL! 2009 Honda Pilot EX SUV LOW MILES! ONLY $10,995! LOW 101,959 Original Actual Miles! Carefree Motors has been family-owned and operated by Joe Kroto for 35 years! Conveniently located at 6941 E. 22nd Street in Tucson AZ 85710. (Across the street from Palo Verde High School) Feel free to stop by Monday - Friday 9:00am - 5:00pm, and on Saturday from 10:00am - 2:00pm. You are welcome to give us a call with any questions you may have at 520-747-7162, or email us at carefreemtrs@mindspring.com! We look forward to meeting you, your family, and your friends! We are proud of our quality pre-owned vehicles, and we are confident you will be happy purchasing your next vehicle from us!! We are here to assist you in acquiring the vehicle you want. We will not pressure you into purchasing a vehicle you have no interest in buying! For easy Loan Pre-Qualification, contact the friendly staff at Lendmark Financial Services, 520-319-8750. Conveniently located at 4528 E. Broadway Blvd, Tucson AZ 85711. Or if you prefer, we will prepare the paperwork necessary for your credit union to finance the vehicle. Of course if you don't require a lender, we will gladly accept a cashiers check, money order, or cash. Wishing you a great new year!! We look forward to hearing from you soon! Message: Thought you might be interested in this 2009 Honda Pilot.